Investors worried about rising bond yields and interest rates continue their flight to safety, moving away from tech stocks and toward consumer staples stocks and other more defensive investments. For those investors concerned about the future direction of the markets who’ve taken profits from the FANG stocks, consumer staples stocks are one area that has traditionally been a haven. However, “staples are not necessarily the bastions of steady growth, strong cash flow and high dividend payouts they once were,” BlackRock (NYSE:BLK) chief equity strategist Kate Moore stated in September. Headwinds facing consumer staples stocks include higher input costs and lower brand-name loyalty. As interest rates rise, dividend stocks aren’t nearly as attractive to investors interested in income. 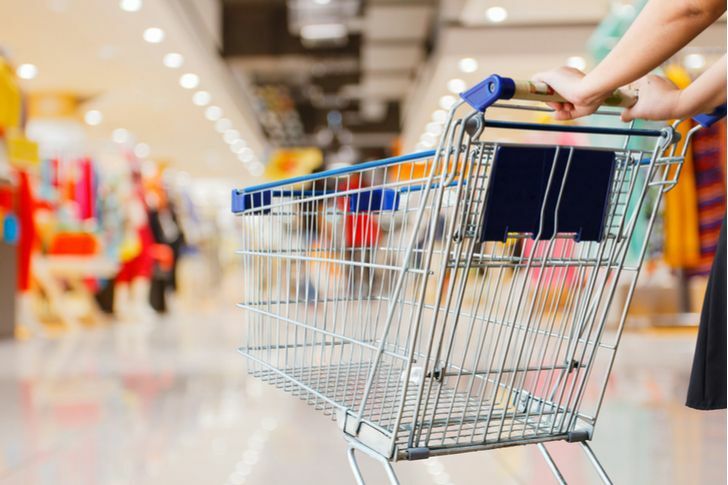 But despite consumer staples stocks being less attractive as defensive plays than they once were, these seven provide investors with significant value at current prices. It hasn’t been a good year for J.M. Smucker (NYSE:SJM), down 17% year to date. Nor has it been good for SJM shareholders over the past three years, down 1% on an annualized total-return basis, considerably worse than the 15% annualized total return achieved by the S&P 500. 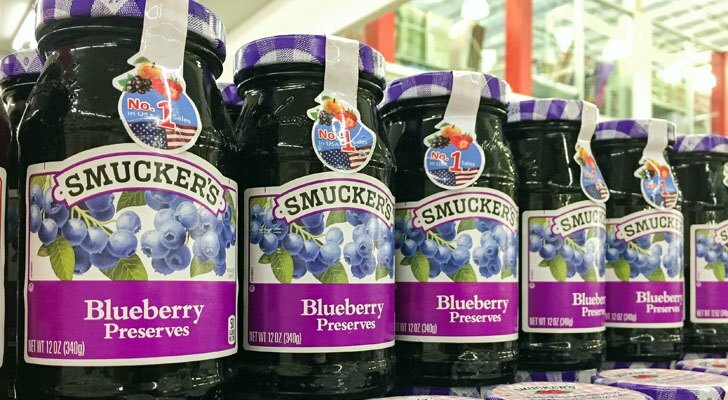 With its current 3.3% yield, InvestorPlace’s Josh Enomoto recently called Smucker’s one of 15 safe dividend stocks to own. Enomoto’s rationale: It grew Q1 2018 revenue by 9% while beating its earnings estimate by two cents. As a supplier of coffee, jam, peanut butter and other products that never go out of style, the company’s positive free cash flow — $803 million over the trailing 12 months — ensures that it will continue to be able to pay its quarterly dividend. 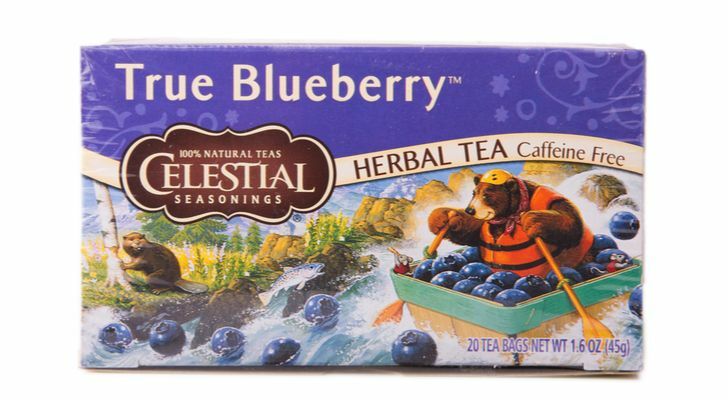 For me, it is the pet food and coffee businesses that will provide the growth at Smuckers in the next few years. Thankfully, its U.S. retail consumer foods segment continues to possess decent margins despite flat or declining sales. If it can figure out this business, $103 is very cheap at less than nine times earnings. Hershey (NYSE:HSY) stock has recovered nicely in recent months — up 12% over the past 90 days — after hitting a 52-week low of $89.10 in early May. Now the question is whether Hershey stock can maintain the momentum into 2019. Company CEO Michelle Buck has been on an acquisition run over the past year paying $1.6 billion last December to buy Amplify Snack Brands, the people behind SkinnyPop popcorn. In July, it purchased Pirate Brands for $420 million, whose brands include Pirate’s Booty, Smart Puffs and Original Tings. “We expect the full Pirate Brands portfolio to be a great fit for Hershey’s growing Amplify business which is targeted toward consumers who are looking for great-tasting snacks without compromise,” said Mary Beth West, Hershey’s chief growth officer, in a statement. Buck is focusing on raising the company’s margins rather than merely increasing the top line. Acquisitions like the two she’s made since becoming CEO in March 2017 will go a long way to bringing Hershey stock out of its snack-induced coma. Recent gains would suggest it’s just the beginning of Hershey’s next leg up. This past weekend was Canadian Thanksgiving. All around the kitchen, you could see McCormick (NYSE:MKC) spices in use as my wife and I prepared the holiday meal. However, with its $4.2 billion acquisition of French’s mustard and Frank’s RedHot sauce in July 2017, there many more McCormick products on display. Not only has the acquisition helped stock the company’s pantry, but it’s also supported the top and bottom line. In the third quarter ended Aug. 31, McCormick saw revenues increase by 14% to $1.35 billion. Excluding the French’s acquisition, sales still grew a robust 4%. On the bottom line, adjusted earnings per share grew 14% year over year to $1.28 a share. MKC stock might not be a pure value play at 25 times forward earnings, but its stable of brands will continue to deliver organic growth, ultimately leading to higher profits and a higher stock price. 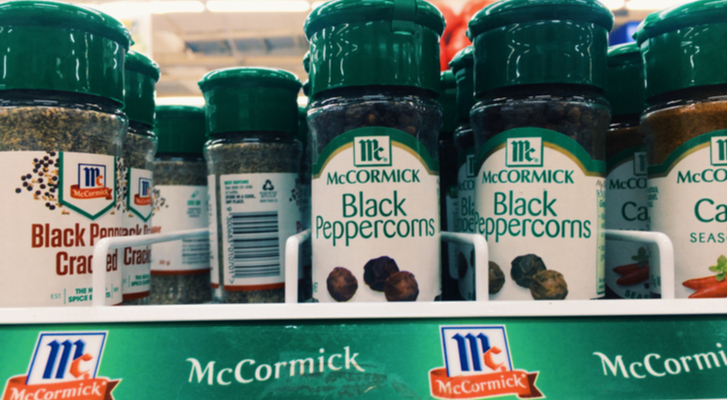 McCormick, if not the best of the consumer staples stocks on this list, is the second best. Although the stock scorecard suggests McCormick could be the best of the consumer staples stocks on my list, Church & Dwight (NYSE:CHD) gets my vote despite being outperformed by the spice and sauce company — McCormick’s total return year to date is 34% versus 14% for CHD. Church & Dwight’s been one of my favorite stocks for some years. In April 2016, I recommended investors buy the maker of Arm & Hammer baking soda and Oxi Clean stain remover because it had delivered 10 straight years of positive returns. Since then, CHD has produced three more years in the black (assuming 2018 will remain positive), making it one of the most consistent stocks I’ve ever followed. Whether it ultimately gets acquired or continues to grow its nine power brands, I believe that Church & Dwight is the best consumer staples stock investors can own both today and in the future. If you bought Kroger (NYSE:KR) stock in early September at 52-week highs, you’re probably not very happy today. However, if you bought KR stock a year ago, you’re likely ecstatic, given it is up 40% in the past 52 weeks. Well, get ready to hang on to your hats, because it might be heading into another period of significant volatility. On Oct. 9, Deutsche Bank (NYSE:DB) lowered its rating on one of America’s largest grocery store chains from a hold to a sell while also cutting its 12-month target price to $24. 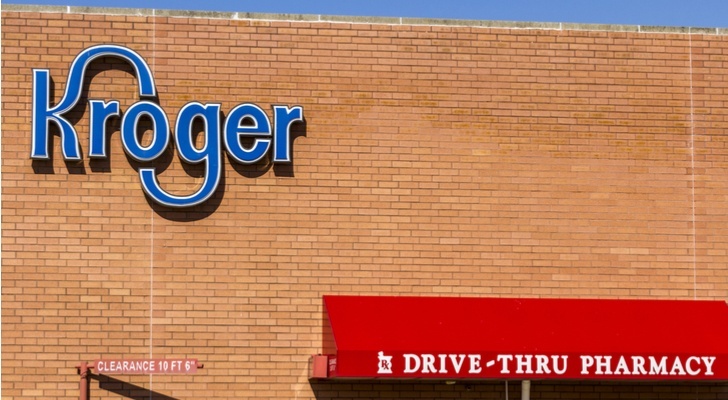 Trading at less than 13 times forward earnings compared to 20 times forward earnings for Bentonville’s finest, I see Kroger stock as possibly the biggest underdog of the seven consumer staples stocks to buy. I think it will surprise a lot of investors over the next 12-18 months — Trussell included. I looked at a list of Conagra’s (NYSE:CAG) brands at its investor relations site. I can honestly say that I’ve used at least four of them over the past year: PAM, Bertolli, Hunt’s and Healthy Choice. It’s not a huge list compared to some of its biggest end-user consumers, I’m sure, but it does suggest the company’s products cover a varied and diverse set of demographics. Conagra’s announcement in late June that it is buying Pinnacle Foods (NYSE:PF) for $10.9 billion in cash and stock adds another two brands I’ve used this past year: Gardein and Vlasic. More importantly, the synergies it will achieve from its purchase of Pinnacle should reignite the company’s growth regarding both revenue and earnings. 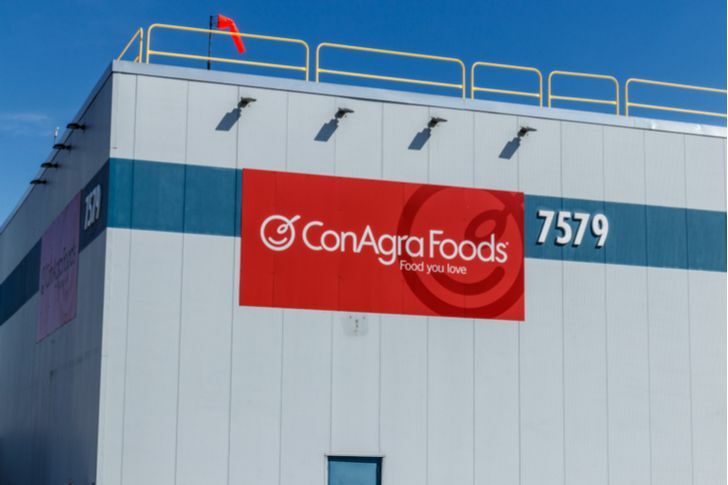 Like Kroger, investors are underestimating the future potential of Conagra’s brands including the ones from Pinnacle, and overestimating the associated risks of such a big deal. According to Finviz.com, out of 321 services stocks with a market cap greater than $2 billion, Hain Celestial (NASDAQ:HAIN) had the eighth-worst year-to-date performance through Oct. 8, down 37%. Against some of its food competitors, including Pinnacle Foods, only Pilgrim’s Pride (NYSE:PPC) has done worse, down 44% year to date. I recently recommended seven companies to ride the vegan wave. Hain Celestial was one of them. My rationale was that the right CEO at the helm could go a long way to getting it back on track. Remember, in December 2014, HAIN stock split on a 2-for-1 basis. At the time it was trading around $60 on a split-adjusted basis, more than double where it is today. HAIN stock hasn’t traded this low since 2012, providing investors with an exciting risk/reward proposition. Article printed from InvestorPlace Media, https://investorplace.com/2018/10/7-consumer-staples-stocks-to-buy/.